Draft: 2008, Oakland Athletics, 2nd rd. Resides in Oakland, CA during the offseason with his wife, Ashley...his brother, Joe, was a first round selection of San Diego in 2011 and is currently on the Washington Nationals...Participated in the Tigers Winter Caravan and TigerFest...Attended the University of California, earning All-Pac-10 honors in 2007 and 2008...left Cal ranked third on the Bears' career strikeout list with 271...Was a member of the USA Junior National Team in 2004 and 2005. Began the 2018 season with San Diego, before being claimed off waivers by St. Louis on August 5...Recorded the fourth double-digit strikeout game of his career on April 20 at Arizona, striking out 10...Made his Cardinals debut on August 12 at Kansas City, picking up the win after allowing two runs in 6.0 innings...Belted the second home run of his Major League career on September 13 vs. Los Angeles (NL) off Clayton Kershaw...Held righthanded hitters to a .176 (47x267) batting average, which was the second-lowest among all Major League pitchers (min. 250 at-bats vs. righthanded hitters)...lefties hit .294 (85x289) against him. Made 12 appearances (10 starts) for TEX while also making four rehab starts for Round Rock (AAA) and two rehab starts for Frisco (AA)...Began the season on the 10-day DL recovering from thoracic outlet surgery...sent on a rehab assignment with Round Rock on 5/23 and made four starts, going 2-1 with a 7.71 ERA (16 ER, 18.2 IP)...Transferred to the 60-day DL on 5/27 before being reinstated on 6/16, making his TEX debut that same day and earning the win in 5.2 IP of two-run ball on two hits and 5 SO in TEX's 10-4 victory...Made a total of seven starts from 6/16-7/23, going 2-2 with a 7.52 ERA (27 ER, 32.1 IP) before being placed on the 10-day DL with a blister on his right index finger...Made two rehab starts for Frisco, going 1-1 with a 2.31 ERA (3 ER, 11.2 IP) before being reinstated on 8/12...Appeared in five games (three starts) for TEX from 8/12-9/10, going 1-1 with a 8.10 ERA (15 ER, 16.2 IP) before being released on 9/12. Became the 29th different pitcher to start on opening day for the Padres, 4/4 vs. LAD…allowed 8 runs/7 ER in 5.1 innings in SD's 15-0 loss…felt discomfort following a bullpen session ahead of his next scheduled start and was placed on the 15- day disabled list on 4/9 (retroactive to 4/5) with a diagnosis of right shoulder inflammation…was assigned to Lake Elsinore (High-A) on rehab assignment on 8/25, losing start that night at Rancho Cucamonga (0.2 IP, 3 H, 4 R-ER)…continued to experience soreness and was removed from rehab assignment and transferred to the 60-day DL on 8/31...Had surgery to relieve Thoracic Outlet Syndrome performed by Dr. Robert Thompson on 10/13 in St. Louis…was not tendered a contract offer by the Padres prior to the deadline on 12/2, making him a free agent. Named the Padres Pitcher of the Year by the local chapter of the Baseball Writers Association of America (BBWAA) after he finished the 2015 campaign with new career-highs in innings pitched and strikeouts after going 10-12 with a 3.26 ERA (71 ER, 196.0 IP) and 212 strikeouts against 84 walks while holding opponents to a .237 average....His strikeout total ranked 13th in the Majors, sixth in the National League and second on the team (Shields, 216)....His 212 strikeouts were a new career high, surpassing his previous best of 195 in 2014…was the second pitcher in franchise history to record 195+ strikeouts in consecutive seasons, joining Jake Peavy who did so in three straight seasons from 2005-07....Also posted a 9.73 strikeouts per nine innings ratio (212 strikeouts/196.0 IP), the second-best mark in franchise history by a starter, trailing only the 9.87 mark (189 SO/172.1 IP) set by Andy Benes during the 1994 season....Ross and teammate James Shields (216) both reached the 200 strikeout plateau, making them the first set of teammates in franchise history to reach 200+ strikeouts in the same season....His 196.0 innings pitched was one more inning than his previous record of 195.0 IP set in 2014…first Padres pitcher since Jake Peavy from 2005-07 to record 195.0+ in consecutive seasons (Peavy did so in three straight seasons)....Allowed just nine home runs in 196.0 IP, good for a 0.41 home runs per nine innings ratio, third-best mark among qualified Major League starters, trailing only JakeArrieta (0.39) and Gio Gonzalez (0.41)…it was also the seventh-best mark in franchise history and the best since Kevin Brown had a 0.28 HR/9 (8 HR, 257.0 IP) during the 1998 season....Posted a 100.0-inning streak without allowing a home run from 4/28 - 7/29, the longest by a Major League pitcher in a single season (in terms of both starts and innings pitched) since Mets starter Sid Fernandez went 16 starts and 111.0 innings pitched during the 1992 season…was the third-longest in terms of innings pitched in franchise history, trailing only Dave Roberts (123.1 IP from 4/30-7/20 in 1971) and Padres Hall-of-Famer Randy Jones (107.1 IP from 7/3-9/11 in 1978)....Recorded 212 strikeouts and allowed nine home runs in 2015 after he had recorded 195 strikeouts and allowed 13 home runs in 2014…since the start of the 2000 campaign, is the fifth Major League pitcher to have consecutive seasons of 195+ strikeouts and less than 15 homers allowed, joining Clayton Kershaw (3 seasons, 2013-2015), Pedro Martinez (2002-03), Tim Lincecum (2008-09) and Ubaldo Jimenez (2009-10)....According to FanGraphs.com, he posted a 71.2% contact percentage, the fourth-lowest rate in the Major Leagues and the lowest mark in baseball by a right-hander, behind only Francisco Liriano (67.5%), Clayton Kershaw (69.0%) and Chris Sale (70.5%)....Posted a 62.3% ground ball rate this season, the third-highest rate in Major League Baseball, trailing only LAD Brett Anderson (66.7) and HOU Dallas Keuchel (62.3)…Ross also posted a 3.51 groundout/flyout ratio, the third-highest in baseball behind only Anderson (4.49) and Keuchel (3.68)...Threw his slider a National-League-leading 1,289 times in 2015, with Chris Archer being the only player in Major League Baseball to throw it more often (1,307)…had a 45.54% swing-and-miss rate on his slider, the second-highest whiff rate on a single pitch thrown by a pitcher at least 750 times, trailing only Cole Hamels' change-up, which had a 48.22% swing-and-miss rate (thrown 770 times)....Recorded 142 strikeouts on his slider this season, the fourth-highest total by any Major League pitcher on a single pitch, trailing only Chris Archer's slider (179), Lance Lynn's fastball (144) and Max Scherzer's fastball (144), per STATS, Inc.... At the plate, Ross posted a .255/.288/.364 (14-for-55) with a double, a triple, a home run and six RBI…his .255 batting average was the highest by a Major League pitcher in 2015, the first time in Padres franchise history they had a pitcher lead his position in hitting....Ross hit for a "season cycle" (1B, 2B, 3B, HR), making him the second pitcher in franchise history to accomplish this feat…Tim Lollar also did so three times, having done so every season from 1982-1984....Hit his first career home run on 7/2 at STL, an opposite field shot off Tim Cooney…was the fourth pitcher in franchise history to hit an opposite field home run and the first since Andy Benes did so against the Phillies on 9/3/89…Mike Corkins (6/28/72) and Dave Roberts (7/9/70) also accomplished this feat. Set career-highs in starts (31), innings (195.2), strikeouts (195) and ERA (2.81) in his first full season as a starter with the Padres...Went 13-14 with a 2.81 ERA (61 ER, 195.2 IP) with 195 strikeouts in 31 starts...his ERA ranked 11th in the National League while his strikeouts ranked eighth...Selected to represent the Padres for the National League at the 85th annual Major League Baseball All-Star Game in Minneapolis on 7/15… his first career trip to the All-Star Game...was the 10th starting pitcher in club history to be named an All-Star, the 12th time overall a Padres starting pitcher has been selected to the team…did not appear in the game as he made his last start on the Sunday before the All-Star Break...Put up the 11th-best ERA and opponents batting average (.230) in Padres franchise history while his strikeout total was seventh-best…his 8.97 strikeouts per nine innings ranked eighth in the NL...Turned in 15 games of six-or-more innings pitched and two-or-fewer earned runs, tied for the third-most in the Majors, trailing only Adam Wainwright-STL (17) and Clayton Kershaw-LAD (17)...In 15 starts at Petco Park, posted an 8-5 record with a 1.88 ERA (21 ER, 100.2 IP) with 106 strikeouts against 31 walks while limiting the opposition to a .199 average…his home ERA was the fourth-best mark in Major League Baseball...Owns a lifetime .195 opponents average over his career at Petco Park, the second-best mark in ballpark history, trailing only Luke Gregerson, who held the opposition to a .173 batting average at Petco Park...Over 30 games, 21 starts, in his career at Petco Park, owns a 1.95 ERA (33 ER, 154.0 IP), the second-lowest mark in ballpark history, behind only Mike Adams, who pitched to a 1.29 ERA over six seasons and 112 games in downtown San Diego...Posted a streak of 14 consecutive quality starts from 6/21 - 9/7, a Padres franchise record… in addition to the quality starts, allowed six-or-fewer hits in each of those 14 starts...dating back 1914, the only Major League pitcher with a longer streak of quality starts allowing six-or-fewer hits was Mike Scott-HOU, who went 17 games from 5/21 - 8/8/86...During his quality start streak, posted a 7-6 record with a 1.93 ERA (20 ER, 93.1 IP) with 94 strikeouts against 26 walks while limiting the opposition to a .210 average…ranked fourth in the NL in ERA and opponents average and third in strikeouts...Threw the first complete-game shutout of his career on 7/2 vs. CIN, allowing just three hits with nine strikeouts and no walks… first pitcher in franchise history to throw a shutout, allow three-or-fewer hits, strike out nine-or-more and walk none in a game...Threw the second complete game of the season and of his career on 8/21 a LAD but took the loss after he allowed two runs on four hits with eight strikeouts against two walks over 8.0 innings pitched...In July, went 4-2 with a 1.10 ERA (5 ER, 41.0 IP), a .194 opponents average and 48 strikeouts against 10 walks in six starts… led all Major League pitchers with 48 strikeouts during the month…his 48 strikeouts that month are tied for the third-most in franchise history by a pitcher during the month of July, trailing only Kevin Brown's 60 in 1998 and Andy Benes' 54 in 1994…overall, his 48 strikeouts during July are tied for the seventh-most in franchise history for any month of the season...His 1.10 ERA (min. 25.0 IP) in July was second-best in the NL…his 1.10 ERA in July was second-best in franchise history, behind only the 1.04 ERA (4 ER, 26.0 IP) Mat Latos put up in July 2010… his 1.10 ERA was the lowest by any pitcher in franchise history to make six starts in a single month...According to Baseball Prospectus, threw his slider a Major-League-leading 1,272 times in 2014…forced a swing on 53.14% of those pitches and a swing-and-miss on 44.38%, the fourth-best swing rate and second-best whiff rate in the Majors (min 750 pitches)...According to FanGraphs.com, posted a 71.4 contact percentage, second-best rate in MLB, trailing only Francisco Liriano-PIT (68.1%)...Allowed 14 unearned runs, tied for the third-highest total in Major League baseball and second-most in the NL, behind only Dan Haren-LAD (18) and Jon Lester-OAK/BOS (16)...Collected a pair of bunt singles in 2014, tied for the Major League lead among pitchers with teammate Andrew Cashner. Set career-highs in games (35), starts (16), innings (125.0), strikeouts (119) and ERA (3.17) in his first season with the Padres...Was 3-5 with a 3.06 ERA (32 ER, 94.0 IP) with 97 strikeouts in 16 starts...compiled a 0-3 record with a 3.48 ERA (12 ER, 31.0 IP) with 22 strikeouts in 19 relief appearances...Made two starts during a quick stint in the minors in July to build up his pitch count...returned on July 23 and pitched exclusively out of the rotation the remainder of the season, going 3-4 with a 2.93 ERA (26 ER, 80.0 IP) with 85 strikeouts in 13 starts...His 2.93 ERA from July 23 through the end of the season ranked tied for seventh in the National League and tied for 14th in the Majors (min. 80.0 IP)...Recorded the lowest contact percentage (69.6% of swings) of all qualified Major League pitchers in the second half...His 2.03 ERA (12 ER, 53.1 IP) at Petco Park was the fourth-best in ballpark history (min. 50.0 IP) while his .187 opponents batting average ranked second behind Chris Young (.170 in 2007)...His .201 (56-for-279) opponents batting average from July 23 through the end of the season was tied for the best in the Majors with Texas' Yu Darvish...Posted a 2.03 ERA (12 ER, 53.1 IP) with 46 strikeouts in 15 games, including six starts, at Petco Park...recorded a 4.02 ERA (32 ER, 71.2 IP) in 20 games, including 10 starts, on the road...His 9.29 strikeouts per nine innings as a starter ranked sixth in the National League and 12th in the Majors...Limited right-handed hitters to a .199 (45-for-226) average, which ranked sixth-best in the Majors...Placed on the 15-day disabled list on April 20 with a left shoulder subluxation suffered on a swing resulting in a single off the wall on April 17 at Los Angeles-NL, his first Major League hit (Clayton Kershaw)...Sent on minor league rehabilitation assignment on April 30, making two appearances with Tucson (4 ER, 2.2 IP) before being recalled and activated from the 15-day disabled list on May 5...After returning from his rehabilitation assignment, pitched out of the bullpen because he could not swing a bat, posting a 3.48 ERA (12 ER, 31.0 IP) in his next 19 appearances. Split the season between the Major League club and Triple-A Sacramento in the Athletics organization, making 13 starts for both the A's and River Cats.In his 15 games, 13 starts, total for Sacramento, was 6-2 with a2.99 ERA(26 ER/78.1 IP) and 64 strikeouts against 29 walks.In his 13 starts for the River Cats, was 5-2 with a 2.74 ERA (23ER/75.2 IP) and 62 strikeouts against 28 walks.On 6/16 vs. SD, carried a no-hitter into the sixth inning before Carlos Quentin hit a two-run home run with two outs. Went 3-3 with a 2.75 ERA in nine games, six starts, with Oakland before going on the disabled list May20 with a strained left oblique...made four rehab starts before he was reinstated from the DL and optionedto Sacramento July 25...surrendered just one home run in 36.0 innings and had a .298 opponentsslugging percentage...allowed a .252 opponents batting average, which included a .250 (17-for-68)mark against left-handed hitters and .254 (16-for-63) against right-handers...issued nine of his 13 walksto lefties...opponents hit .315 with the bases empty, .172 with runners on, including .208 with runnersin scoring position...was 2-2 with a 2.61 ERA in his six starting assignments and 1-1 with a 3.60 ERAin three relief appearances...is now 2-4 with a 3.49 ERA (15 er in 38.2 ip) in eight career starts, 2-3with a 4.91 ERA (20 er in 36.2 ip) in 27 relief appearances...first batters faced were 2-for-3 in his reliefappearances and he did not inherit any runners...first batters are now 10-for-24 (.417) with three walks(.481 on-base percentage) in his career...compiled a 0.90 ERA and .217 opponents batting averageover the first four innings of a game...had a 5.06 ERA and .290 opponents average from the fifth inningon...opponents were 13-for-35 (.371) with five walks (.450 on-base percentage) when leading off aninning...was 2-1 with a 2.11 ERA in five games during the day, compared to 1-2 with a 3.68 ERA in fourcontests at night...the A's were 3-3 in his six starting assignments and 3-5 (.375) in his career...tossedsix or more innings in four of his six starts, allowed two runs or fewer five times and walked two battersor fewer four times...pitched for Phoenix in the Arizona Fall League following the season and was 1-3with a 5.94 ERA in seven starts. OAKLAND: Was one of the A's final cuts during the spring as he was optioned to Sacramento March30...did not pitch for the River Cats before being recalled April 6 when Michael Wuertz went on thedisabled list...pitched in relief in each of his first three appearances, including his first outing April 11at Chicago (AL) when he tossed 3.0 scoreless innings for the win in a 2-1 A's victory in 10 innings...moved into the starting rotation April 22 after Dallas Braden went on the DL...allowed a career-hightyingthree runs on four hits and a career-high four walks in 4.1 innings that day at Seattle, absorbingthe loss...then went 2-1 with a 2.03 ERA over his final five starts...tossed 7.0 shutout innings April 27at Los Angeles (AL) but had a no decision in the A's 2-1, 10-inning win...that began a career-high 13.0inning scoreless streak...allowed a career-high eight hits May 3 against Cleveland...won consecutivestarts May 8 at Kansas City and May 14 against Chicago (AL), the first winning streak of his career...struck out a career-high eight against the White Sox and also had bests in innings pitched (7.1) and pitches(102)...made his final start May 19 against Minnesota...allowed a single to start the game to DenardSpan but left after facing one batter and throwing just seven pitches...Span scored and he was chargedwith the loss in an 11-1 decision...since Stats, Inc. began tracking pitch counts in 1987, the seven pitcheswere the fewest by an A's starting pitcher...the previous low was 10 by Omar Olivares June 16, 2000 atKansas City...was placed on the 15-day disabled list the next day with a strained left oblique. SACRAMENTO: Began a rehab assignment with Triple-A Sacramento June 30 and went 0-1 with a13.50 ERA in two starts...was transferred to Single-A Stockton July 10, allowing one run in 1.0 inningbefore he was removed from the game with right shoulder tightness...his rehab assignment was haltedbut an MRI revealed no structural damage...resumed his rehab with Sacramento July 24 against Reno,allowing five runs on four hits in 3.0 innings...was reinstated from the disabled list and optioned toSacramento the next day...then went 3-1 with a 5.72 ERA in six starts the rest of the way...was 3-2 witha 7.61 ERA in nine starts overall with the River Cats...struck out 34 in 36.2 innings but also issued 22walks, an average of 5.40 per nine innings...allowed a .325 opponents batting average, which includeda .260 (20-for-77) mark against left-handed hitters and .386 (32 for 83) against right-handers...yieldedfour of his five home runs to righties...opponents hit .323 with runners in scoring position...was 2-1with a 5.63 ERA in four starts at home, compared to 1-1 with a 9.15 ERA in five starts on the road...struck out a season-high nine batters in 5.0 innings against Round Rock Aug. 15...allowed just oneunearned run for the win...allowed a season-high seven runs on a season-high nine hits in 5.1 inningsAug. 25 at Fresno...tossed a season-high 6.0 innings and allowed just one run for the win in his finalstart, Aug. 30 against Las Vegas...went 0-2 with an 8.31 ERA in two postseason starts (8.2 ip, 18 h, 11r, 8 er, 1 bb, 6 so). The A's second-round pick in the 2008 draft made the Opening Day roster as a non-roster invitee andspent half of the season with Oakland...went 1-4 with a save and a 5.49 ERA in 26 games, includingtwo starts, before he was optioned to Sacramento July 7...was 2-1 with a 3.55 ERA in six games, allstarts, with the River Cats before he was shut down Aug. 10 with a strained right elbow...with the A's,he struck out 32 in 39.1 innings but also issued 20 walks (4.6 per nine innings)...had a 3.32 ERA overhis first 11 appearances, a 7.52 ERA over his final 15 contests...allowed a .271 opponents batting average,including .258 (17-for-66) against left-handed hitters and .282 (22-for-78) against right-handers...surrendered three of his four home runs and issued 14 of his 20 walks to right-handers...opponentsbatted .323 with runners in scoring position...compiled a 2.49 ERA and .221 opponents batting averagein 13 appearances in Oakland compared to a 9.17 ERA and .328 opponents average in 13 games on theroad...yielded three of his four home runs on the road...went 0-2 with a 7.04 ERA in his two starting assignmentsand 1-2 with a 5.12 ERA in 24 relief appearances...yielded a .368 batting average to the firstfour hitters in the batting order, a .207 mark against the bottom five...allowed 4-of-10 (40.0%) inheritedrunners to score...first batters faced were 8-for-21 (.381) with three walks (.458 on-base percentage)...tossed two or more innings in nine of his 24 relief appearances...was named the A's fourth best prospectby Baseball America following the season...was also tabbed as having the Best Slider in the magazines'Best Tools survey for prospects. OAKLAND: Was the only non-roster invitee to make the A's Opening Day roster...made his MajorLeague debut in the sixth inning, April 7 against Seattle...struck out the first batter he faced (Rob Johnson)in tossing 2.1 scoreless innings (1 h, 1 bb, 2 so)...his debut came in his third professional season,15 days before his 23rd birthday...had pitched just nine games above the Single-A level entering theseason...made his second appearance April 11 at Los Angeles, logging 3.0 innings in the A's 9-4 win forhis first career save...was credited with his first big league win May 11 at Texas in a game he was alsocharged with a blown save...entered the game in the 11th inning with a 6-5 lead but allowed a two-outRBI single to Borbon to tie the game...the A's then scored a run in the 13th and he retired three of four inthe bottom of the inning for the win...struck out in the 12th inning to become the first A's pitcher to batin a non-interleague game since Todd Stottlemyre also struck out Aug. 16, 1985 at Kansas City...madehis first Major League start May 15 at Los Angeles after Justin Duchscherer was scratched minutes beforefirst pitch...retired each of the first 11 batters he faced before allowing three straight hits, capped bya three-run home run by Morales...allowed a career-high three runs in 3.2 innings and was charged withhis first career loss...started and lost again May 20 against Detroit, allowing three runs on a career-highseven hits in a career-high 4.0 innings...also struck out a career-high four...returned to the bullpen May25, allowing two runs in each of his next three outings (1.2 ip, 3 h, 6 r, 6 er, 6 bb, 0 so, 32.40 ERA)...did not retire a batter in two of those outings, including June 1 at Boston when he was charged with the loss, his fourth in five games...then posted a 4.09 ERA and held the opposition to a .184 batting averageover his final 10 games before he was optioned to Sacramento July 7. SACRAMENTO:Walked 13 and struck out 30 in 25.1 innings in his Triple-A debut...allowed just onehome run...opponents batted .253, including .241 (13 for 54) by right-handed hitters and .273 (9 for 33)by left-handers...allowed a .350 batting average to hitters leading off an inning...yielded five of his 10runs in the fifth inning, as he posted a 2.08 ERA over the first four innings and a 12.27 ERA in the fifth...had made just two professional relief appearances before being used mostly as a reliever during his staywith Oakland...returned to the starters role with Sacramento, but never pitched more than 5.0 innings ashe built up his pitch count...held the opposition to one run or less in four of his first five starts...includingconsecutive starts of 5.0 shutout innings of two-hit ball on both July 21 at Colorado Springs (2 bb,7 so) and July 26 at Tacoma (3 bb, 8 so)...had a 2.21 ERA over his first five starts and then allowed fiveruns on eight hits in 5.0 innings Aug. 6 at Albuquerque...notched the win in that game, but it would behis final start of the season...was placed on the disabled list Aug. 10 with a strained right elbow. Began his first full professional season at Single-A Stockton but earned a late season promotion toDouble-A Midland and combined for a 10-10 record and a 4.09 ERA in 27 games, all starts...tied forfifth in the A's farm system in wins (10) and ranked seventh in ERA (4.09), strikeouts (113) and innings(136.1)...allowed a .233 opponents batting average, including .224 (66 for 295) against right-handedhitters and .245 (52 for 212) against left-handers...yielded seven of his 13 home runs against lefties...had a 1.38 strikeout to walk ratio (36 so, 26 bb) against lefties and 2.85 against righties (77 so, 27 bb)...opponents hit .216 with runners in scoring position and were 10 for 59 (.169) with RISP and two outs...compiled a 2.73 ERA over the first three innings of a game and a 5.97 ERA from the fourth inning on...his teams were 13-14 (.481) in his starting assignments...tossed six or more innings in just eight of his27 starts, allowed two runs or fewer 14 times and walked two batters or fewer 18 times...was named asthe A's number six prospect by Baseball America following the season and was also tabbed as havingthe Best Slider. December 10, 2018 Detroit Tigers signed free agent RHP Tyson Ross. October 29, 2018 RHP Tyson Ross elected free agency. August 7, 2018 St. Louis Cardinals activated RHP Tyson Ross. August 5, 2018 St. Louis Cardinals claimed RHP Tyson Ross off waivers from San Diego Padres. January 18, 2018 RHP Tyson Ross assigned to El Paso Chihuahuas. December 27, 2017 San Diego Padres signed free agent RHP Tyson Ross to a minor league contract and invited him to spring training. 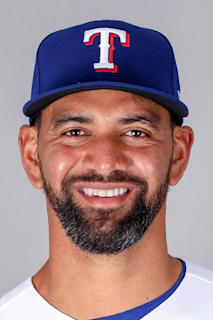 September 12, 2017 Texas Rangers released RHP Tyson Ross. August 12, 2017 Texas Rangers activated RHP Tyson Ross from the 10-day disabled list. July 31, 2017 Texas Rangers sent RHP Tyson Ross on a rehab assignment to Frisco RoughRiders. July 24, 2017 Texas Rangers placed RHP Tyson Ross on the 10-day disabled list. Blister on right index finger. June 16, 2017 Texas Rangers activated RHP Tyson Ross from the 60-day disabled list. May 27, 2017 Texas Rangers transferred RHP Tyson Ross from the 10-day disabled list to the 60-day disabled list. Thoracic Outlet Syndrome surgery. May 23, 2017 Texas Rangers sent RHP Tyson Ross on a rehab assignment to Round Rock Express. April 2, 2017 Texas Rangers placed RHP Tyson Ross on the 10-day disabled list retroactive to March 30, 2017. Thoracic Outlet Syndrome surgery. January 19, 2017 Texas Rangers signed free agent RHP Tyson Ross. December 2, 2016 RHP Tyson Ross elected free agency. November 7, 2016 San Diego Padres activated RHP Tyson Ross from the 60-day disabled list. August 31, 2016 San Diego Padres transferred RHP Tyson Ross from the 15-day disabled list to the 60-day disabled list. Right shoulder inflammation. August 25, 2016 San Diego Padres sent RHP Tyson Ross on a rehab assignment to Lake Elsinore Storm. July 23, 2013 San Diego Padres recalled RHP Tyson Ross from Tucson Padres. July 9, 2013 San Diego Padres optioned Tyson Ross to Tucson Padres. May 5, 2013 Tyson Ross roster status changed by San Diego Padres. April 29, 2013 San Diego Padres sent RHP Tyson Ross on a rehab assignment to Tucson Padres. April 20, 2013 San Diego Padres placed RHP Tyson Ross on the 15-day disabled list retroactive to April 18, 2013. Left shoulder subluxation. November 16, 2012 Oakland Athletics traded Tyson Ross and A.J. Kirby-Jones to San Diego Padres for Andy Parrino and Andrew Werner. November 16, 2012 RHP Tyson Ross assigned to San Diego Padres. October 12, 2012 Tyson Ross roster status changed by Oakland Athletics. September 3, 2012 Oakland Athletics recalled Tyson Ross from Sacramento River Cats. August 24, 2012 Oakland Athletics optioned Tyson Ross to Sacramento River Cats. August 23, 2012 Oakland Athletics recalled Tyson Ross from Sacramento River Cats. June 29, 2012 Oakland Athletics optioned Tyson Ross to Sacramento River Cats. June 23, 2012 Oakland Athletics recalled Tyson Ross from Sacramento River Cats. June 17, 2012 Oakland Athletics optioned Tyson Ross to Sacramento River Cats. June 16, 2012 Oakland Athletics recalled RHP Tyson Ross from Sacramento River Cats. May 31, 2012 Oakland Athletics optioned Tyson Ross to Sacramento River Cats. April 17, 2012 Oakland Athletics recalled Tyson Ross from Sacramento River Cats. April 4, 2012 Oakland Athletics optioned Tyson Ross to Sacramento River Cats. March 27, 2012 Oakland Athletics placed Tyson Ross on the reserve list. October 1, 2011 Tyson Ross roster status changed by Oakland Athletics. August 4, 2011 Sacramento River Cats activated RHP Tyson Ross from the temporarily inactive list. July 30, 2011 Sacramento River Cats placed RHP Tyson Ross on the temporarily inactive list. July 25, 2011 Oakland Athletics optioned Tyson Ross to Sacramento River Cats. July 25, 2011 Sacramento River Cats activated RHP Tyson Ross. July 24, 2011 Stockton Ports sent RHP Tyson Ross on a rehab assignment to Sacramento River Cats. July 10, 2011 Tyson Ross assigned to Stockton Ports from Sacramento River Cats. June 30, 2011 Tyson Ross assigned to Sacramento River Cats. May 20, 2011 Tyson Ross roster status changed by Oakland Athletics. April 6, 2011 Oakland Athletics recalled Tyson Ross from Sacramento River Cats. March 30, 2011 Oakland Athletics optioned Tyson Ross to Sacramento River Cats. October 13, 2010 Tyson Ross roster status changed by Oakland Athletics. August 9, 2010 Tyson Ross roster status changed by Sacramento River Cats. July 7, 2010 Oakland Athletics optioned RHP Tyson Ross to Sacramento River Cats. April 4, 2010 Oakland Athletics selected the contract of Tyson Ross from Midland RockHounds. December 14, 2009 Oakland Athletics invited non-roster RHP Tyson Ross to spring training. July 21, 2009 Tyson Ross assigned to Midland RockHounds from Stockton Ports. May 5, 2009 Tyson Ross roster status changed by Stockton Ports. April 28, 2009 Stockton Ports placed RHP Tyson Ross on the 7-day disabled list retroactive to April 26, 2009.